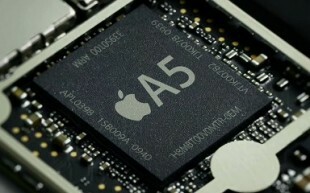 A6 Chip for iPhone and iPad – Ready for Mass Production? According to a new Digitimes report, the new Apple A6 processor expected to end up in next-generation iPhone and iPad next year is well under way. After enrolling Taiwan Semiconductor Manufacturing Company (TSMC) for production, Apple is about to hire the services of another Taiwan-based company, Siliconware Precision Industries (SPIL), to package and test the new chips. In the past, with both A4 and A5 chips, Apple entirely relied on a single vendor (Samsung) to build and package the processors, but it appears that Apple is changing its strategy, most likely to increase efficiency, and reduce costs. SPIL stands a chance of becoming the first packaging and testing service provider designated by Apple, cutting into the supply chain of the vendor’s processor line, the sources said. SPIL has responded by denying the speculation. Earlier this year, several media outlets confirmed that Apple started collaborating with TSMC instead of Samsung for its next generation A6 processor, to be used for upcoming iPhones and iPads. A couple of weeks ago, TSMC and Apple allegedly started running trials for this new chip, expected to be ready for mass production later this year. The move to TSMC has been a major blow to Samsung, the sole supplier of A4 and A5 processors thus far, but it does not come as a surprise, as Samsung increasingly became a threat to Apple over the last couple of years, with products such as the Galaxy S and the Galaxy Tab. Digitimes’s report also confirms that the A6 will be a quad-core processor, as previously reported. The Apple A6, based on the ARM Cortex architecture just like its predecessors, is expected to offer dramatic performance levels, thanks to this new architecture.